Three researchers at the Max Planck Institute for Biological Cybernetics [MPI] are facing charges of animal cruelty. The charges follow a joint investigation by Cruelty Free International and Soko Tierschutz in 2014. According to the organization, monkeys were subject to horrific conditions, with some being 'deliberately deprived of water for days' until they were so thirsty they drank their own urine'. In addition, campaigners say animals were 'forced to have major brain surgery to implant devices in their skulls', and 'controlled by a pole attached to a collar around their necks' among other allegations. The group says it welcomes the decision by the state prosecutor's office in Tübingen, Germany to initiate criminal proceedings against three researchers at the MPI institute on the grounds of animal cruelty. 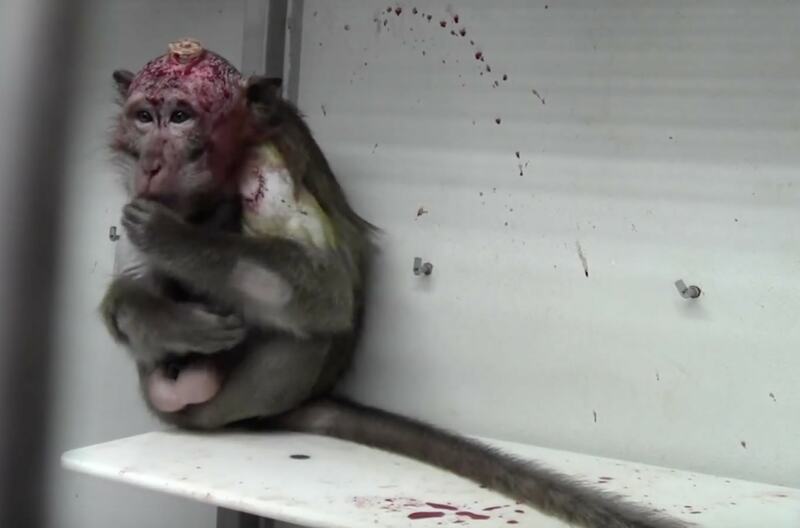 According to Cruelty Free International: "Allegations against the researchers include causing 'significant and longer-lasting harm' to three monkeys after failing to end brain experiments on welfare grounds. "The three researchers have filed an appeal and a court hearing may now take place." It adds: "Thanks to our supporters, our investigation sparked a debate across Europe about the use of primates in brain research. It gained the backing of scientists, primatologists and animal welfare experts including Sir David Attenborough and Dr Jane Goodall. "Two years later, in 2016, the MPI announced that it would end using primates in these controversial experiments." Michelle Thew, CEO of Cruelty Free International, says: "We were shocked by the level of suffering these intelligent and social animals were subjected to and hope justice will be done for the monkeys who suffered inside the confines of the Max Planck Institute for Biological Cybernetics."